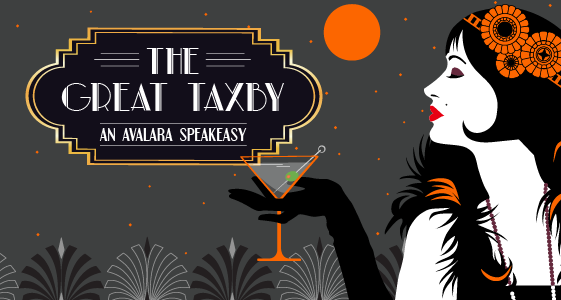 The Great Taxby, an Avalara Speakeasy! To help you shake off a long day of tax sessions, we’ll have a different type of experts providing tastings of unique local and southwestern wines and craft beers, as well as some classic specialty bourbon cocktails. And of course, light hors d’oeuvres and a bar will be available. This is a great way to relax and have a little (or a lot) of fun on The Biltmore’s beautiful lawn. But word of warning…. make sure you stop by the Avalara booth during the day to get the secret code to get in the door – Prohibition security is tight! Note: All attendees are welcome to join the party. Inclement weather will move it indoors…everything included but the fountain!